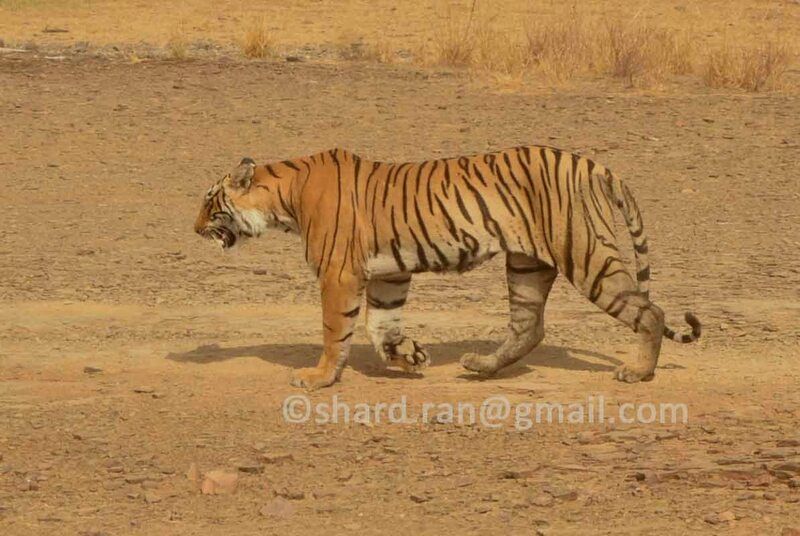 The Tigress, T-84 is one of them and has settled down in zone no. 2, 3, and 4 (Raj-Bag and Nal-ghati area) of the park that is also part of her mother’s territory, while the both female and male cubs are known as T-83 and T-85. A well written document about Arrow-Head. The detail about her life is true and perfect! It is so good to be able to read about her! We spotted Arrowhead in zone 4 on 17/12/2017, she was marking her territory from zone 4 to 3 during the afternoon. We were one of the 4 privileged that spotted her for almost 1 hour. We believe that she is pregnant because of her movement and behavior, and that she was looking for the father of her litter. At 5.30pm the same day, as we were getting out of the national park, we spotted here walking in zone 1, indicting that she has been marking her territory for a long time. Some tourists spotted her walking up a hill near zone 3 on the morning of 18/12/2017, but her health situation is yet to be known. 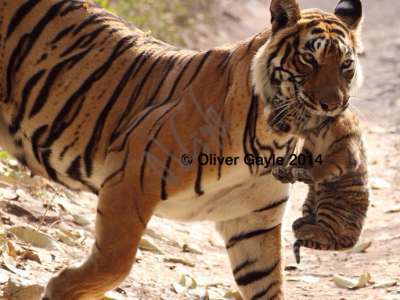 Hope she found her companion and will give birth to healthy cubs! 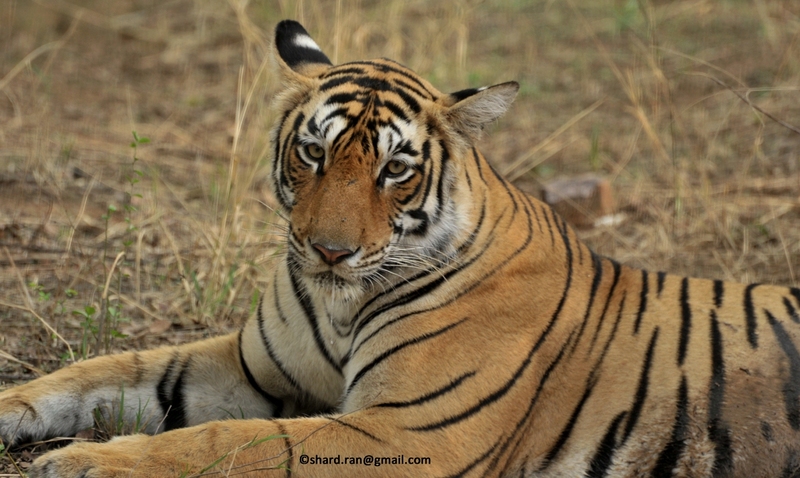 Arrowhead, the superstar tigress gave us the pleasure of her company for over 3 hours in zone 3 on April 15th. Cheers! We had Shardji as our guide for the half day safari in early february (morning). 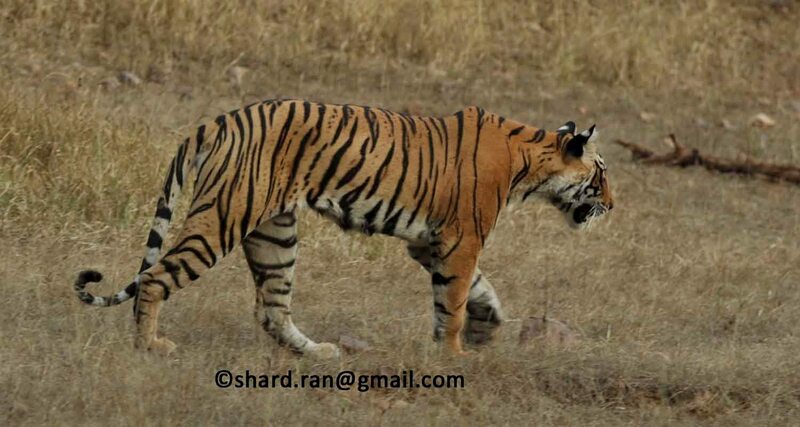 They say you have to be really lucky to spot a tiger more so in winters. We were lucky as Arrow-Head had a sambar deer killed the previous evening. She was supposed to be in the vicinity. We were taken straight to the spot and we waited. There was Arrow-Head walking down the cliff to the kill. She saw us, we saw her and there it was. A majestic looking beast right in front of us. Unpurturbed by our presence. We wanted her to move, walk across the road to go drink water but i guess we had run out of luck. Shardji took us around the park showing various birds some of them being 3 types of kingfisher and one special yellow and black coloured bird - the name of which was the great indian roofer... something which i still keep forgetting. Thank you so much Shardji for making our maiden safari so full of information. Would love to take a full day safari the next time we come. Hopefully in Summers ??? ?